For as long as I can remember I have wanted to go on a safari. Seeing wildlife in their natural habitat is something I absolutely love and I knew that one day, I would somehow make it to the wildlife continent of the world, Africa. 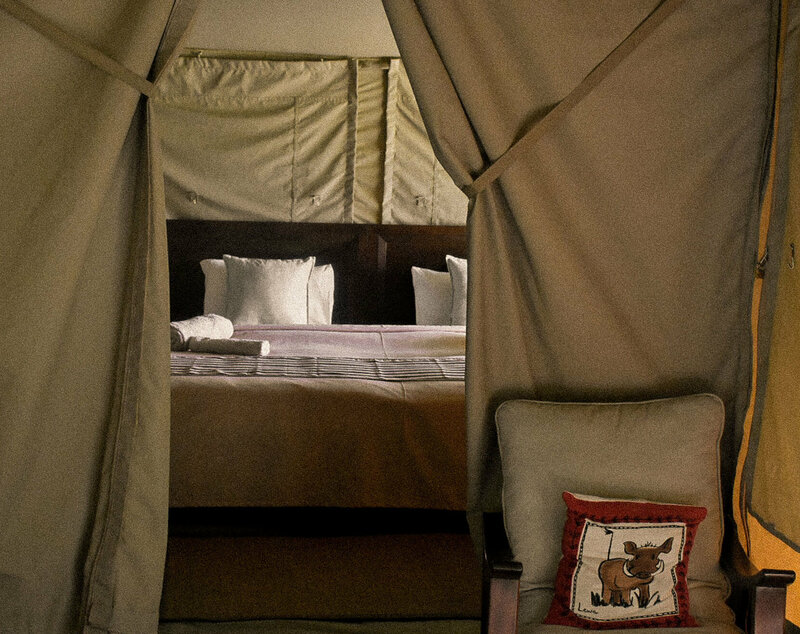 Losokwan Luxury Tented Camp is just as good as its name suggests. 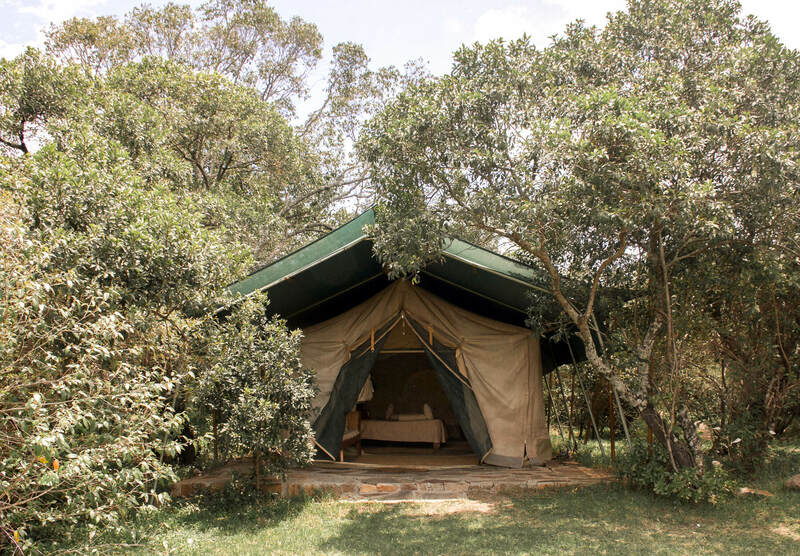 This camp, situated in the Lemek Conservancy – just outside of the Maasai Mara Game Reserve – was the ultimate wildlife experience. It was the perfect mixture of luxury and adventure; with wildlife roaming the campgrounds and no other buildings or people in sight. As soon as I arrived at this place, I knew we were in for the experience of a lifetime. 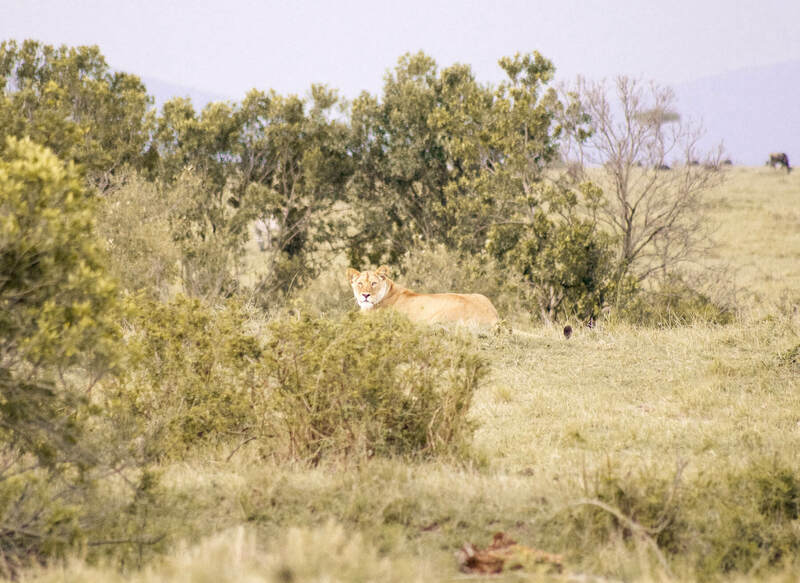 On arrival to the Maasai Mara during our airstrip transfer to the campgrounds, we spotted elephant, lion, wildebeest, zebra, warthog, mongoose and more… And the best was yet to come! The rooms were spacious, very luxurious considering their secluded location and situated amongst an immense amount of untamed wildlife. During the time of my visit, it was the famous migration season – meaning that the wildebeest numbers were at an incredible high. Driving through the savanna was like an unrivalled dodging game, trying to get out of the way of the hundreds of animals at every turn. 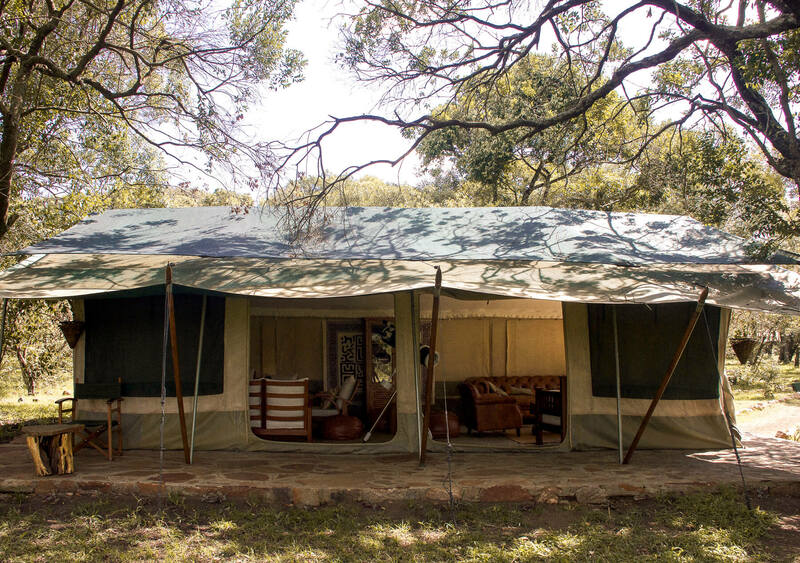 During every night of our stay there were a variety of foreign sounds to put us to sleep; roaring lions, grunting hippos and the footsteps of animals wandering around the tents. 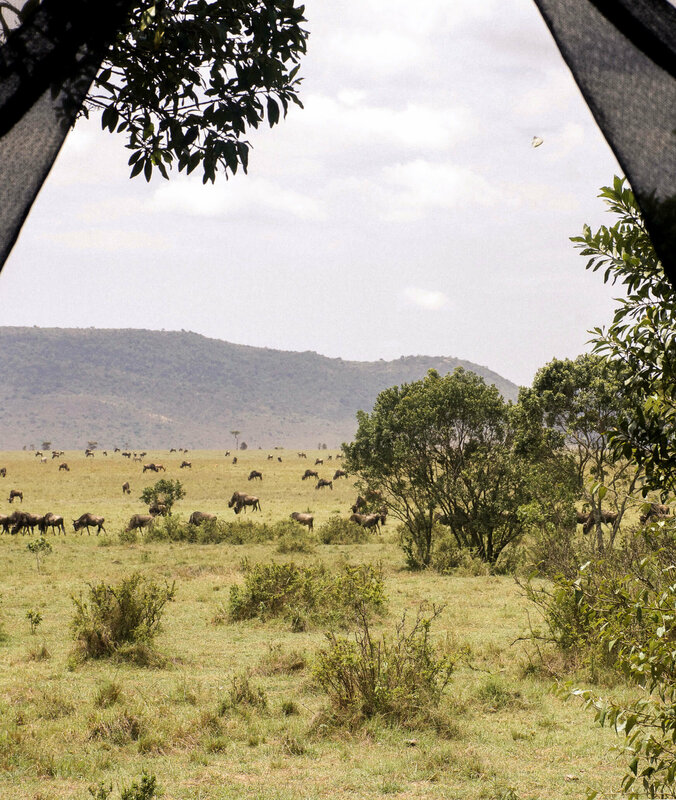 Every morning we would wake up to animals grazing in the plains, often only a few metres from the entrance of the tent – all of which were easily viewable from the comfort of our spacious king size bed! It really couldn’t have been any better. 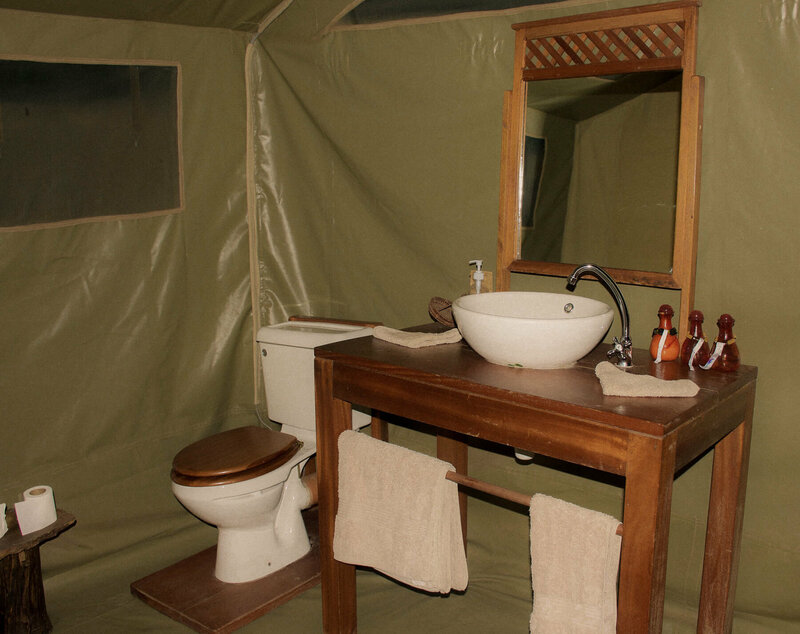 The 6 tents available at Losokwan were equipped with all the amenities you could possibly need; a beautiful ensuite, running water and places to store your luggage. For the families wanting to embark on a true wildlife adventure, there is an option available for you too! This large, very spacious family tent has 2 bedrooms and 2 ensuites; capable of holding up to 5 people! This is by far one of the closest wildlife encounters a family will ever have. Imagine being able to show your children such incredible wild animals from inside their own room? Forget the zoos… This is the place for you! Aside from the 6 accommodating tents, there are 2 others that I certainly mustn’t forget. One being a beautiful lounge room; the perfect place to relax, use the wifi, charge your devices and get to know the other travellers whilst waiting for your activities or your daily meals. When the delicious food is ready, the group then heads to the dining room where all of the full board accommodation is consumed (aside from when day trips occur of course). There’s also a huge selection of beverages for those that want to unwind with a glass of wine in hand. Don’t be concerned about being in the middle of nowhere either… The food at this camp is some of the best I’ve ever eaten. And that’s a pretty big call! The full-time chef creates incredible 3-course meals – each that were adjusted depending on specific dietary requirements. Trust me… The food at Losokwan Camp is incredible. 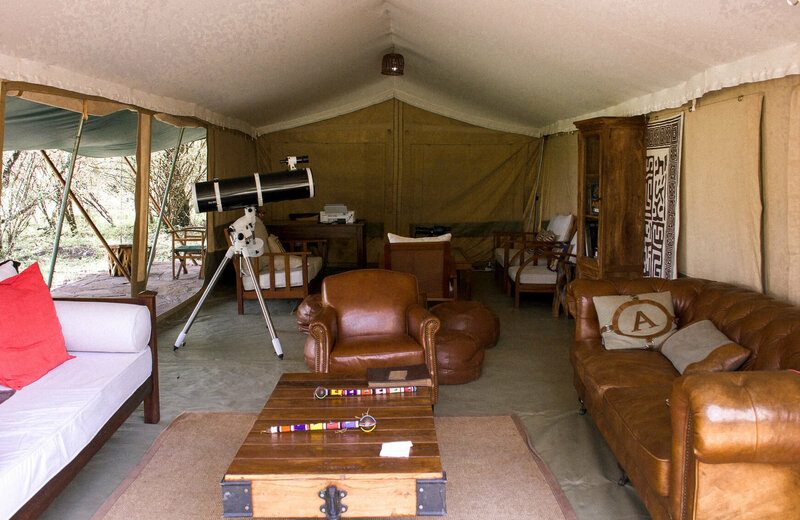 Some would say that you don’t even need to leave the camp to go on a safari – the safari basically comes to you. 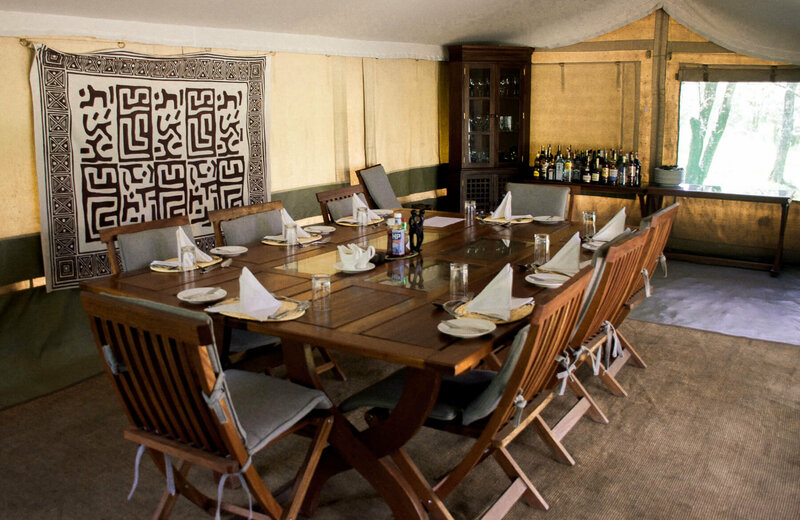 Shared/full day game drives, hot air balloon rides, Maasai village visits, sundowner excursions and trips to the local town are all available at your leisure – some with an extra cost. The guides are all more than happy to help with what is required, and always with a welcoming smile. The thing that I loved the most about this camp is its sustainable and eco-friendly commitments. 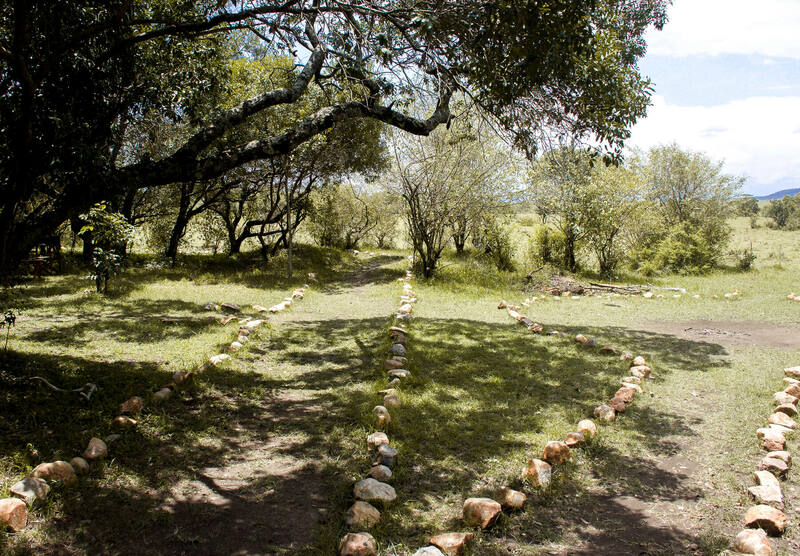 This camp is one that allows wildlife to roam freely and completely undisturbed by human presence. 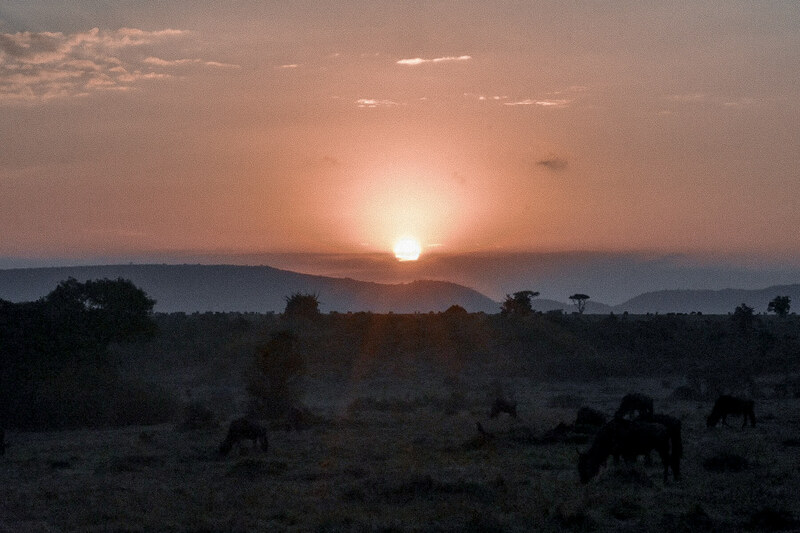 Losokwan believes in conserving the wildlife and supporting the local communities, with the majority of the staff coming from local Maasai villages. Losokwan Camp runs solely off of solar energy and uses eco-heaters to heat the water when it is required. Waste is kept to a minimum and items that can be recycled are taken to plants in Nairobi, and all organic waste is placed in a bio-pit. As you probably already know, being a sustainable traveller (and human being in general) is something I’m really striving for, and visiting locations around the world that aim to care for the environment alongside the other aspects of sustainability, is very important to me. So far, Losokwan Luxury Tented Camp is one of the best I’ve ever visited! For the 4 days that I spent here, everything I experienced was a memorable one. 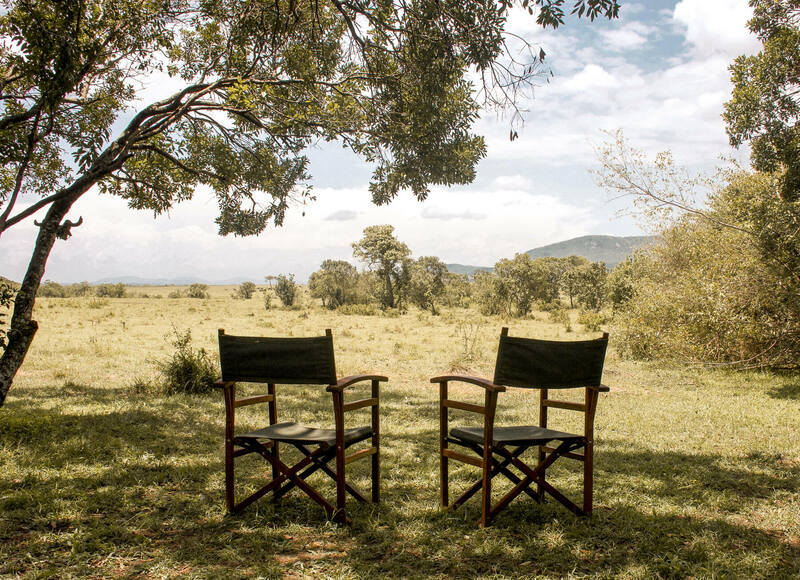 The unbeatable wildlife encounters, the comfortable game drives, the eco-friendly aspects, the fascinating cultural experiences and the outstanding staff. Sylvester, our personal guide, was of the highest standards and one of the nicest people I have ever met. He helped organise out of camp activities and ensured we were able to experience everything we had hoped for during our stay. All of the lovely, helpful staff really made their guests feel entirely at home and I can wholeheartedly say that I will be back to this camp in the future. It was the ultimate wildlife experience and the trip of an absolute lifetime! 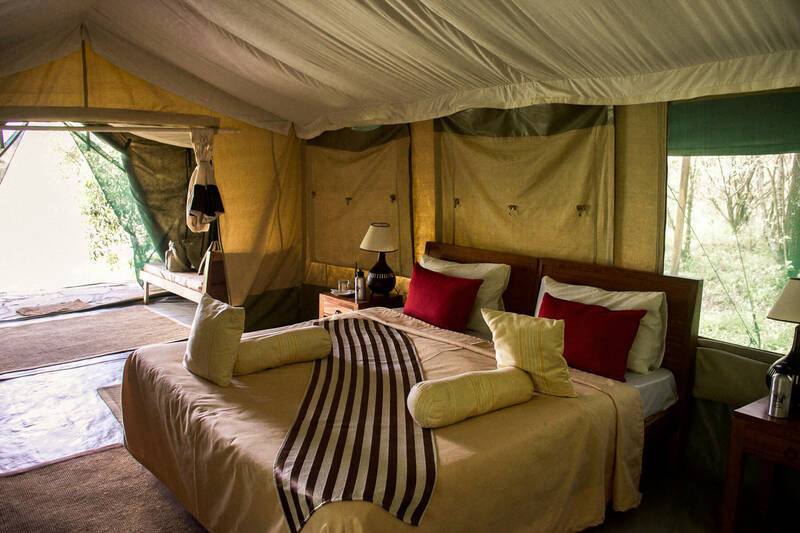 If you’re looking at staying in any of the Masai Mara camps, look no further… Losokwan Camp is truly one in a million. 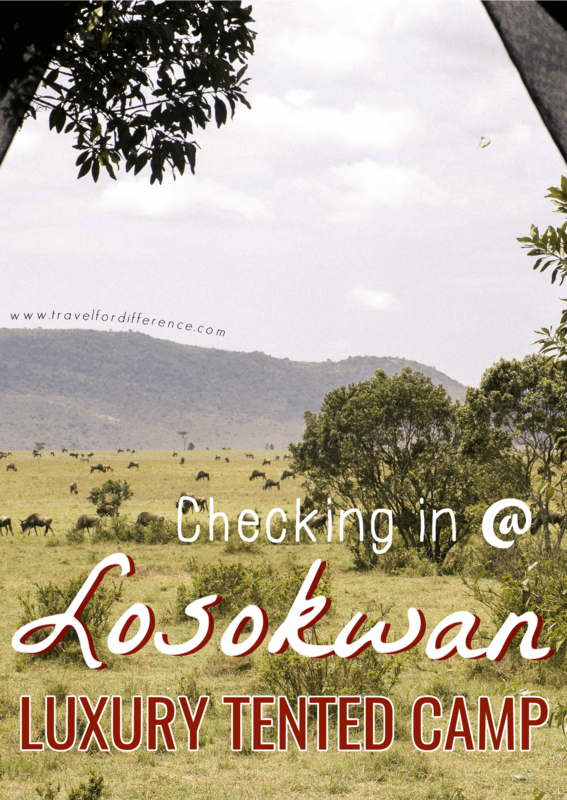 Disclaimer – My stay at Losokwan Luxury Tented Camp was kindly gifted by the beautiful Losokwan team. You have my word that every aspect of this post is 100% honest. This trip was one of the best I’ve ever experienced, and that’s certainly no word of a lie! So eye-opening! I had a similar experience voluntouring at the Jogyakarta Wildlife Rescue Centre in Indonesia with Ecoteer. I got to feed and make toys for the birds and primates, best of all I loved seeing the kindness and altruism of the employees and see how much they love and care for the animals. Hi Kate,thank you so much for the love. Your compliments have made my day! Looking forward to having you around again.